Whether you’re a fitness buff or just want to have a healthy pregnancy, you probably have some questions about how to manage exercise while you are pregnant. Since no two pregnancies are the same, and women tend to share the details of their pregnancies with one another, it’s common to hear myths about exercise and apply them to your own pregnancy. As a certified fitness instructor as well as a certified doula, I have heard many of these myths from my own clients. 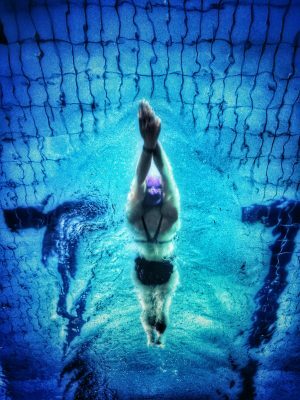 This article will give you the myth-busting truth. Though I don’t remember any specific things people told me about exercise during my first pregnancy (it was 12 years ago), I do remember an overall feeling of being treated differently by others. It seemed I was always fussed over. People were constantly reminding me to “take it easy” and wondering if I was “feeling okay.” It made me feel like I needed to take it easy, even though I felt perfectly healthy. 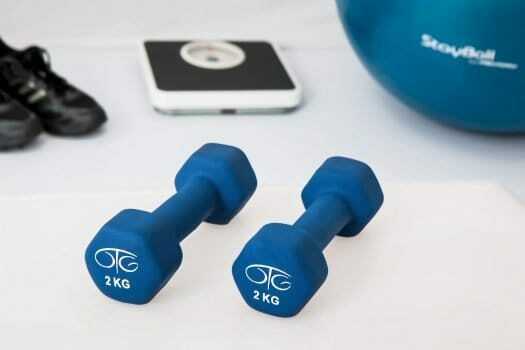 Unless you have a specific condition that would require you to avoid exercise during pregnancy, it is perfectly safe to hit the gym on a regular basis. If you aren’t a fan of the gym, there are many other types of physical activity you can perform throughout your entire pregnancy. If you don’t have any of these conditions, you can safely perform physical activity during pregnancy. Be sure to consult your doctor before beginning any exercise during and immediately after pregnancy. Here are some common myths you may have heard, along with current guidelines for healthy pregnant women. This isn’t as much of a myth as it is just old information. Pregnant women used to be told this by their doctors, but it is no longer an official guideline. Instead of focusing on your heart rate while you exercise, focus on your body temperature. There is a real risk of harm to the fetus if your core temperature exceeds 101 degrees Fahrenheit. 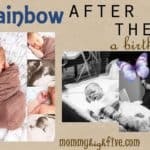 This is why it’s not safe to sit in a hot tub while pregnant. To ensure your core body temperature stays in the safe range, avoid workouts that drive up your body heat, such as hot yoga and exercising outside in direct sunlight. It’s also recommended that pregnant women stick to moderate exercise. You should be out of breath but still able to talk while you are exercising. That being said, women who are already accustomed to strenuous exercise may be able to safely continue this during pregnancy with the okay from their doctor. Again, there is no direct guideline against weightlifting during pregnancy. However, some forms of intense, heavy weightlifting (think cross-fit) should be avoided for safety reasons. You wouldn’t want to do anything that could cause a fall and/or abdominal trauma, so keep that in mind when picking your exercises. Additionally, the Athletics and Fitness Association of America does not recommend starting a weightlifting or resistance training program during pregnancy without first obtaining clearance from your doctor. However, if you are already an experienced weightlifter, you may continue during pregnancy as long as you eliminate any exercises that could result in trauma. This myth is really damaging because the opposite is actually true—strong abdominals during pregnancy are important! You need strong core muscles to be able to support the added weight of the baby on your relaxed joints and bones. 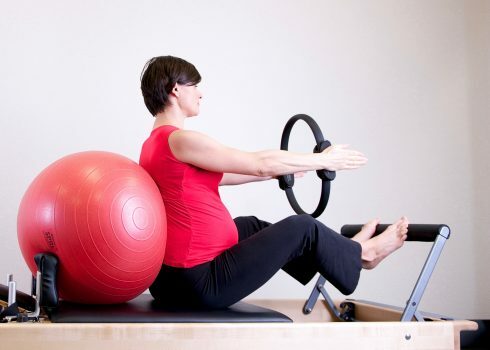 A strong core will relieve many of the aches and pains of pregnancy and aid in the delivery of the baby. Go ahead and perform ab exercises as usual during the first trimester. Once you hit your second trimester, it’s important to avoid lying in a supine (flat on your back) position because it can limit the flow of blood through the vena cava. Instead, perform spinal flexion (ab crunches) standing against the wall, in a side-lying position, or kneeling on all fours. While we’re on the subject of abs, let’s talk about diastasic recti. This is a condition that occurs for 50-60% of women during pregnancy. It is a separation of the abdominal muscles due to the growing fetus during pregnancy. The important thing to remember is that it is not permanent! There are many exercises that can treat this condition and encourage the abdominal muscles to come back together after pregnancy. Avoid doing lots of crunches after delivering the baby—this can actually slow the healing process. Instead, do “drawing in” exercises such as planks and bridges. If you want to do crunches, use the “splinting” technique to draw the abdominal muscles together as you crunch. In your second and third trimesters, when the weight of the baby is more significant, you may experience leaking urine when you perform plyometric exercises. You can prevent this by keeping your pelvic floor muscles strong. Perform Kegel exercises daily throughout pregnancy. If you aren’t sure how to do them, ask your doctor. Some women also find that a supportive pregnancy belt helps to distribute the weight of the baby more evenly and prevent this problem. This is by no means an exhaustive list—there are so many more physical, mental, and emotional benefits! The current guidelines on prenatal exercise from ACOG are to get at least 150 minutes per week of moderate-intensity aerobic exercise. This can be in any form—walking, swimming, cycling, gardening, etc. Pick something you enjoy and try to do it for at least 30 minutes per day, 5 days per week. If this seems like a difficult task, start small (5-10 minutes per day) and work your way up to 30. 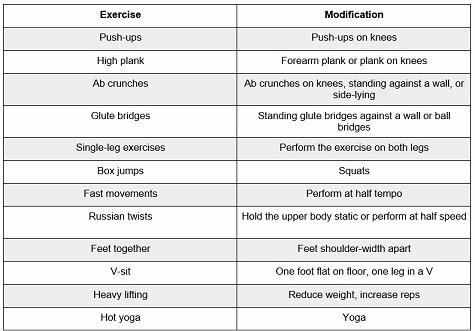 To help you stay safe during your pregnancy, here is a quick table showing common exercises that may require a modification during pregnancy. Use it as a guide when choosing your workouts. If you attend a class, ask your instructor for pregnancy modifications. Click on table to print pregnancy exercise modification printable. 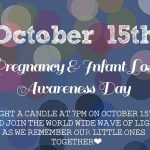 Hopefully this information leaves you feeling less overwhelmed and more excited about having a healthy, fit pregnancy. While it can seem exhausting to make daily exercise a priority during pregnancy, it is so important to the overall health of both you and your baby. Try to have fun and enjoy the process!